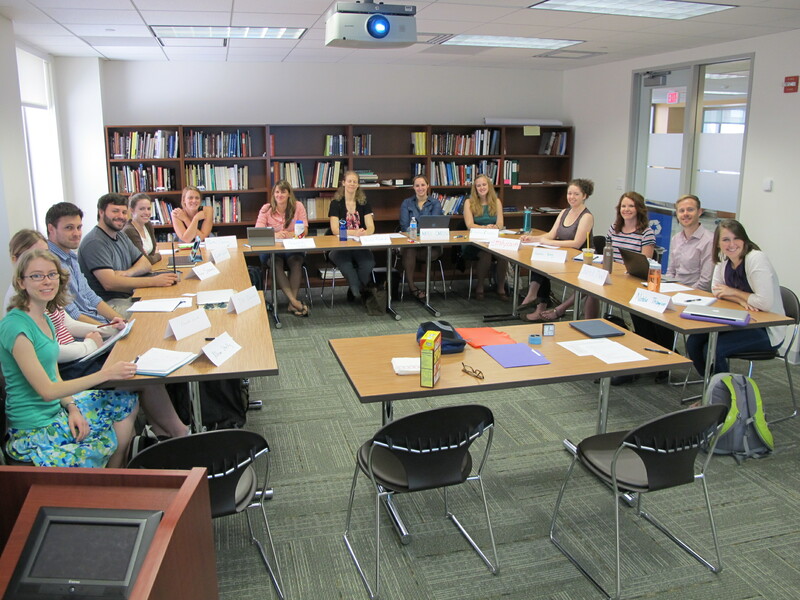 Historic Site Interpretation Class, Fall 2014, Museum Studies Program, George Washington University. My annual fall class on interpreting historic sites and house museums started yesterday at George Washington University, and as usual, I’ve made some revisions to the course syllabus. Not only does my thinking continue to evolve through my experiences working with sites across the country and from the work of my colleagues in the field, but my students provide a lengthy evaluation at the conclusion of each semester. Donnelly’s book, alas, is now a dozen years old and it’s becoming more difficult to assign. It still contains good ideas but the case studies are aging, the impact of the Internet is barely felt, and the growing emphasis on visitor research, intentionality, and social relevance are not addressed adequately. And surprisingly, so many of the authors have left the museum field (what does that say about our profession?). If you’ve found a good book on the theory and methodology of interpreting historic sites suitable for graduate students, please share it in the comments below.